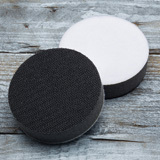 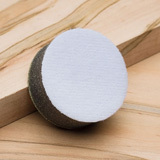 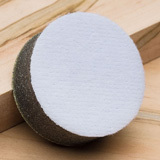 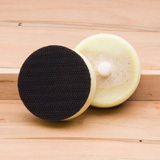 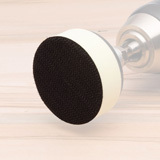 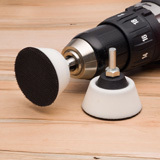 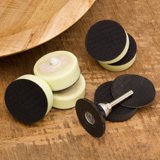 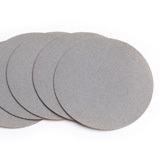 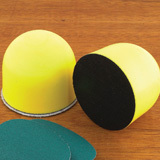 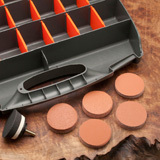 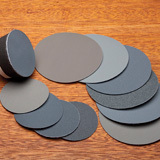 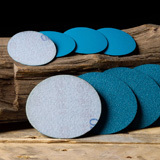 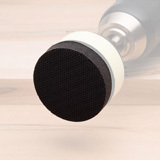 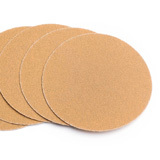 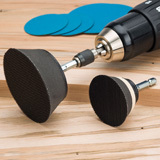 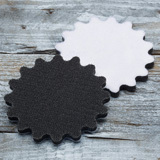 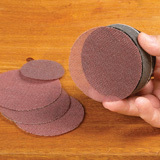 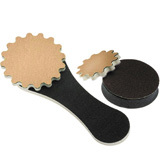 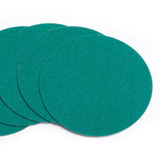 Hook-and-loop sanding discs are the preferred method of sanding by most woodturners. 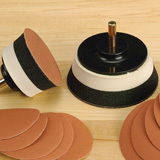 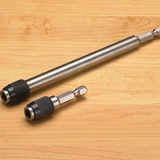 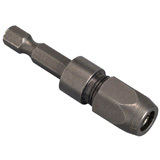 Choose from our large selection of hook-and-loop sanding supplies to fit your project and your budget. 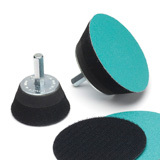 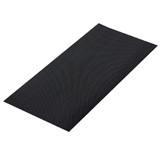 We also stock a full range of hook-and-loop sanding holders, replacement backing and hand-held sanding pads for all your abrasive needs. 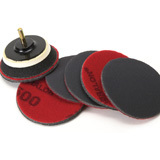 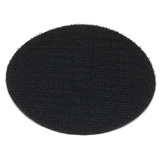 All hook-and-loop discs and abrasives are backed by our 100% satisfaction guarantee.